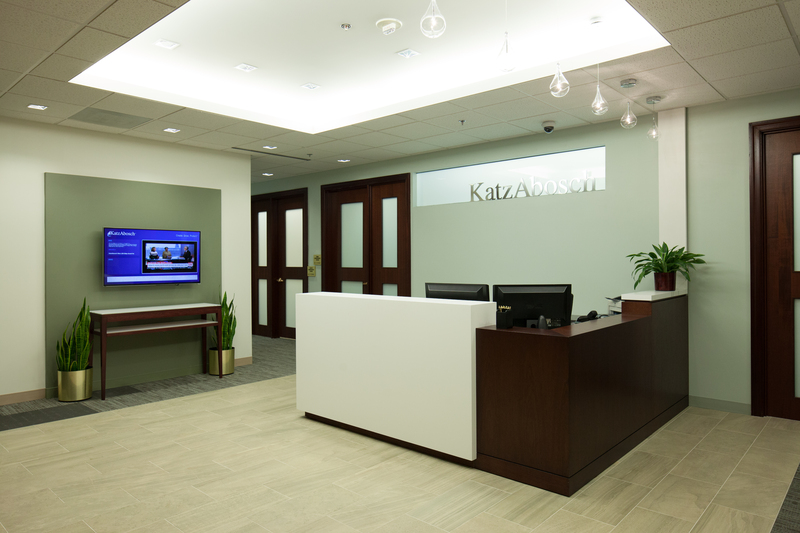 Katz Abosch was a 21,000 SF, multi-phased / multi-floor interior renovation project located in Timonium, MD. 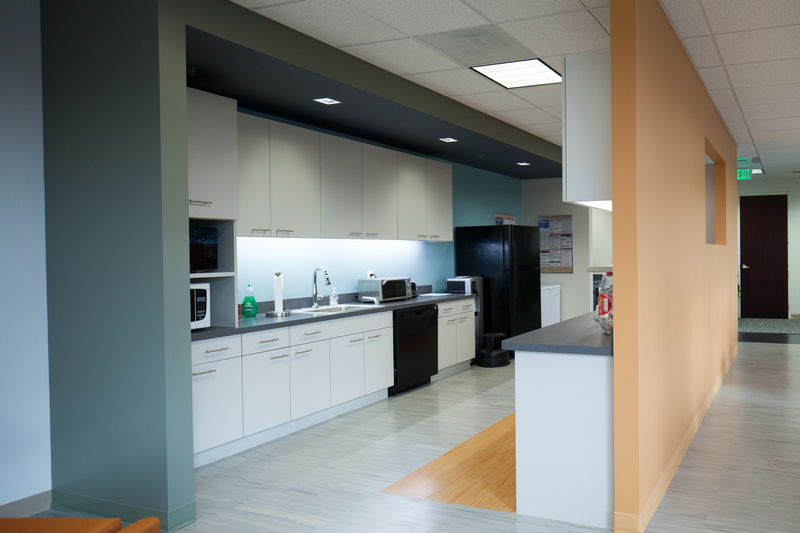 The scope of work consisted of demolition of existing walls, finishes, mechanical and electrical components, as well as, construction of new offices, a reception area, pantries and a breakroom. The finishes included painting, ceramic tile, resilient flooring, new millwork and reuse of existing doors, frames and hardware. 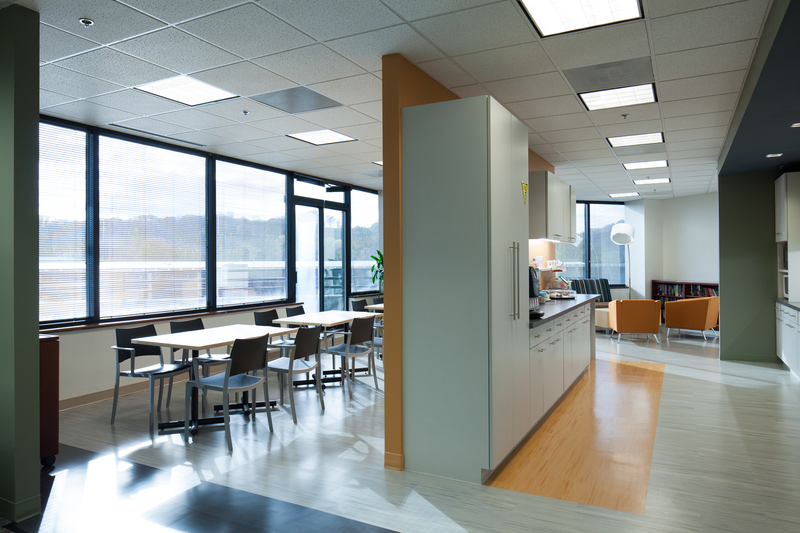 The MEP Trades were design-build for this project. 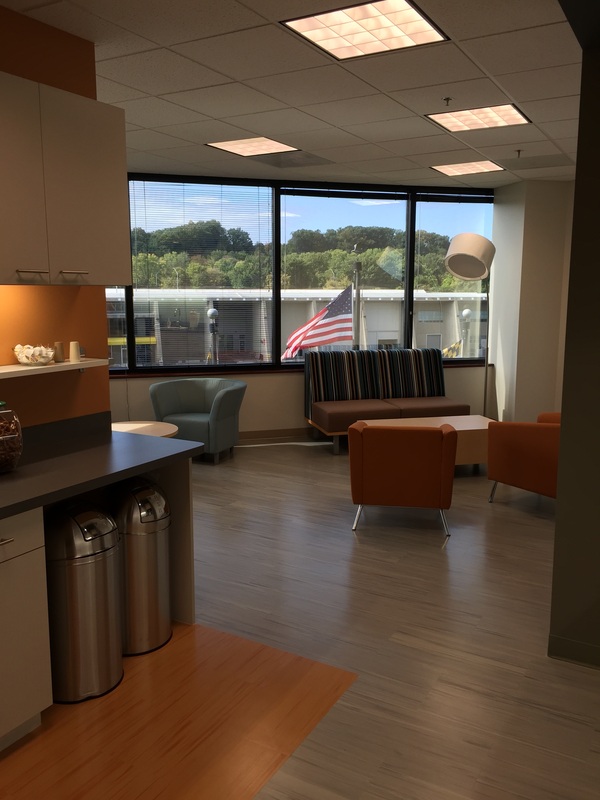 The electrical scope of work included a new lighting package in the reception area along with reuse of existing light fixtures throughout. 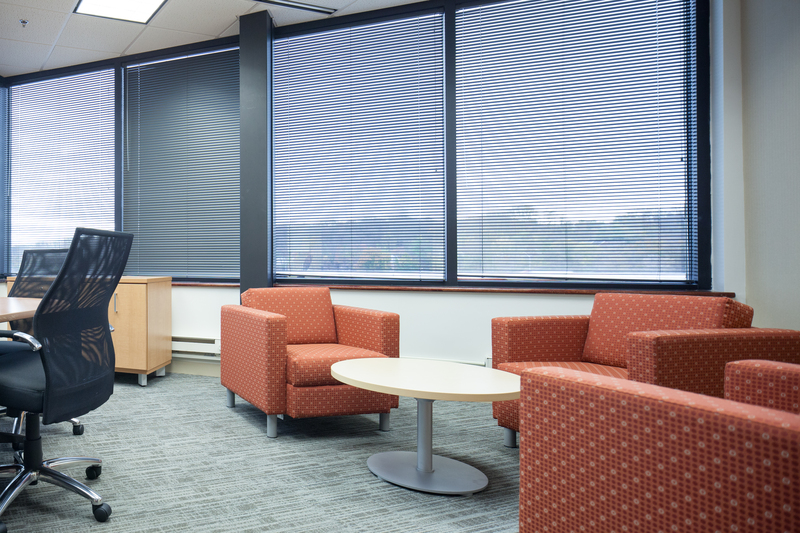 There were also floor boxes in the existing 4th Floor conference room that were reconfigured to make flush with the new flooring finish. The mechanical scope involved re-configuring existing ductwork and air devices to accommodate the wall and ceiling layout. The plumbing portion included installation of a new electric water heater and new plumbing fixtures. The work was conducted in a heavily occupied space, where temporary measures were installed and maintained for the duration of the project. Tenant moves were very important to the schedule and closely coordinated between the GC and the Owner.